College Park City Hall is located at 4500 Knox Road, College Park, MD 20740; phone: 301-864-8666. 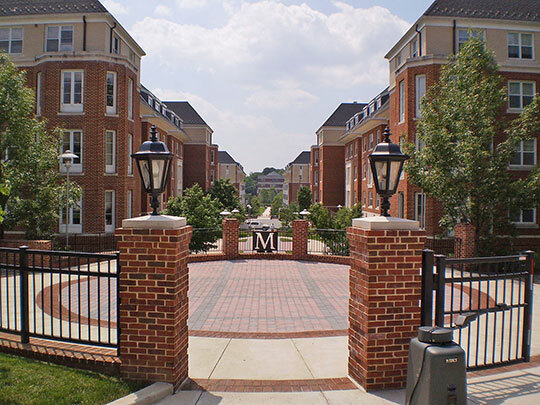 Photo: University of Maryland, South Commons Residential Area, College Park, MD. Photographed by User:Bgervais (own work), 2010, [cc-by-3.0 (creativecommons.org/licenses/by/3.0)], via Wikimedia Commons, accessed August, 2014. First settled about 1745 and incorporated in 1945, the 5-square-mile City of College Park is located less than 10 miles northeast of Washington, D.C.. The city is home to the University of Maryland.